The S&P 500 closed 0.18 percent lower at 2,425.55 , after falling as much as 0.5 percent. NBC News confirmed earlier reports that Bannon had left Trump's team. A report from Axios hinting at Bannon's departure sparked a turn higher in stocks earlier in the session, with the S&P rising as much as 0.4 percent. The Dow Jones industrial average closed 76.22 points lower at 21,674.51; it jumped about 130 points off its earlier lows. OBV (red line) is near the market. If you have not done so please read my take on why the markets are set for a sell off. 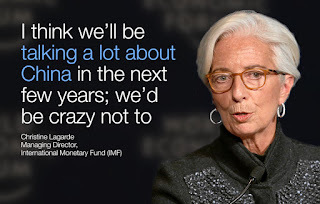 The IMF Issues a warning this week, saying China’s credit-fuelled economic strategy has been branded as dangerous by the International Monetary Fund in a strongly-worded statement warning that its approach. 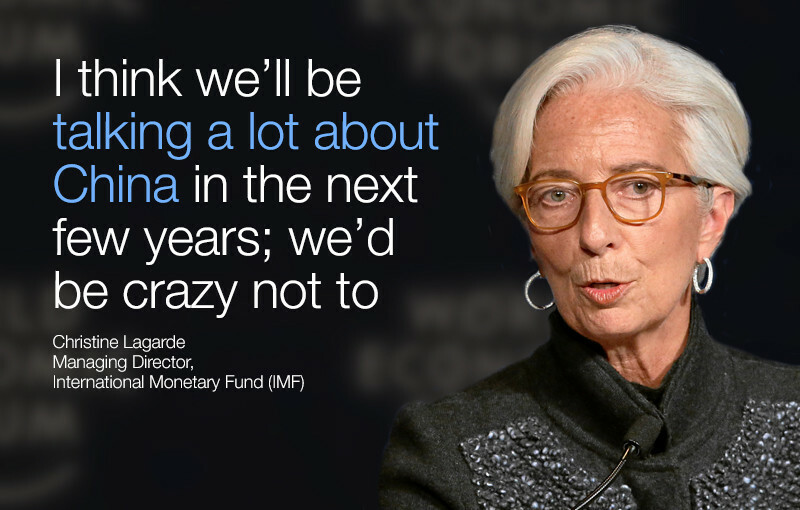 The IMF seldom says anything negative about a country but the debt mess in China is heading to be the biggest in human history, by IMF projections headed for $400 trillion. Of course what no one is talking about is, China is NOT as isolated from the global economy as they think. Sure no bank in China is connected to global banks like Lehman was. But most of what is driving today's world economy is construction and real estate speculation. Economists forget that China's elite are sneaking money out of the country, this has built a global property bubble. 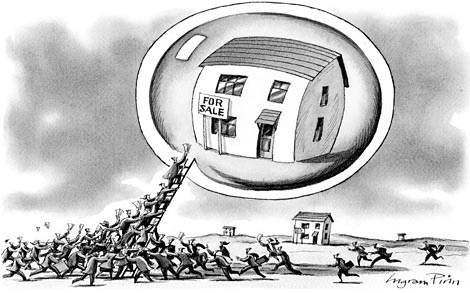 That same bubble, when it pops, will make them sell their real estate holdings. Probably causing implosions in Vancouver, Toronto, Sydney, San Jose, New York and London. In fact Sydney is well on it way to collapse. I think we are in a cyclical bull market (since February 2016) within a near record long, secular bull market (since early-2009), and neither show signs of abating -- yet. As you know last week my analysis grid of the charts was a sea of yellow CAUTION and red BEARISH warnings. Now you see what I was worried about. So what now? Well here is the situation, short term we are in for bumps up and down, it could go sideways for a few weeks, but a bigger sell off is coming and my guess is September. Sure we are in a bull market there could be a good pop up before Sept. or not. The important thing is you must understand the weather has changed. My most favoritest, bestsest chart, in the whole wide world is.... 103 NYSE High Low Market Forces. What this chart says, is on the big board (the NYSE) the bigger more stable firms, now have more stocks hitting 52 week lows than 52 week highs. Of course with a upward bias on stocks that should not be. To learn more click here to visit Lesson 5 in the CME4PIF school. The Green/Yellow line relationship is very stable, you can be green over yellow for years, as we have been. But when they cross it is like a Jedi Master saying "there is a disturbance in the force". Or if you prefer, it is like seeing leaves turn on trees, you know there is a change in the season coming. This week YELLOW IS OVER GREEN and I wrote BEARISH in the grid. Now it is not as bad as it can be, that red splotch in the second window is at -100 it can go to -1000 in a crash. That said, it has not been this low in a couple of years. Also as I have pointed out repeatedly, the VIX has been so low for so long there is clearly too much hubris and complacency in the market. Chart 209 has changed direction and this could be a VIX bump (as we have had for the last 3 years) or a real turn in fear, the beginning of a recession. 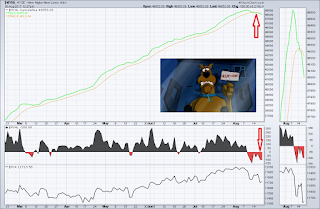 Chart 301 the NASDAQ summation has been in a steep dive for weeks. Also a great early warning system the markets are avoiding risk. Lets face it a pull back is overdue anyway. The S&P 500 has been zooming to crazy levels and if the second half of this year goes like the first half it will be a record year. You should read my take (Warning of 2017) on the mounting bad news to understand why this year has no reason to be a record year. Of course the markets can do anything -- but if you want a guess it might look like prior years. Typically we get a sell-off in the summer, then a buy the dip rally. If there is going to be big trouble it comes in September. That could easily be 2017. At the very least we could loose half our 2017 gains in a good pull back. It is STILL a BULL MARKET that means be defensive not short. The TLT Bond ETF (Ticker:TLT) and Gold (Ticker:GLD) look good, you should have already bought some. You might also hold some cash or the money market ETF (Ticker:SHY). My defensive stocks are down a couple of percent and I am earning dividends -- but if I had stayed with my high flyers I would be down 15% now... Right now it pays to be cautious as I have been saying for weeks. Overall I think faith in the Trump Bump is turning into fear of the Trump Dump.